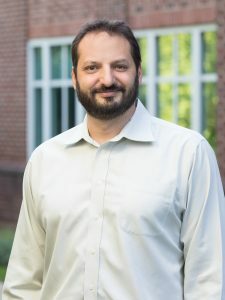 Dr. Marc Breton’s research is centered on bringing engineering techniques such as mathematical modeling, simulation, signal processing and automatic control into the field of medicine and clinical practice. Dr. Breton has participated in the design of the first (and to date only) simulation environment accepted by the US Food & Drugs Administration as replacement for animal studies in pre-clinical assessment of insulin treatment strategies, and is now in charge of its update and further development. He has been principal investigator on many clinical trials aimed at testing new insulin delivery strategies capable of avoiding hypoglycemia and reducing hyperglycemia, using continuous glucose monitors and subcutaneous insulin injection (Artificial Pancreas), and participated to the protocol and system designs. Aside from his responsibilities in the center Dr Breton enjoys rugby, sailing, food and wine, and family time.